Is this the Naim NAIT 2 of the 21st century? I'm starting to hear a lot of great things about Heed, a Hungarian audio company that makes very compact audio components that offer great sound at relatively modest prices. The Obelisk SI pictured here is about 35wpc, which isn't that much more than the Nait 2. But you can add the X2, an outboard power supply, that brings the power up to 50. When I mentioned the LFD integrated in this blog a couple of weeks ago, I instantly heard from Sandy Greene, fellow audio writer and former colleague at TONEAudio. 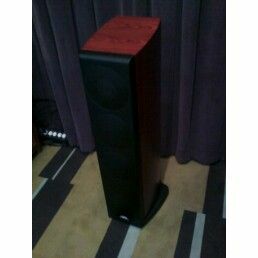 Sandy said I should check out Heed before going with the LFD Zero Integrated or the Naim NAIT XS. Dan Muzquiz of Blackbird Audio/Gallery is also a Heed dealer, and he has had great success in matching the Obelisk SI with Rega speakers. So Heed is definitely on my radar now. According to Dan, "retail for the Obelisk Si is 1550.00 and its optional external power supply, the X2 sells for 1150.00. 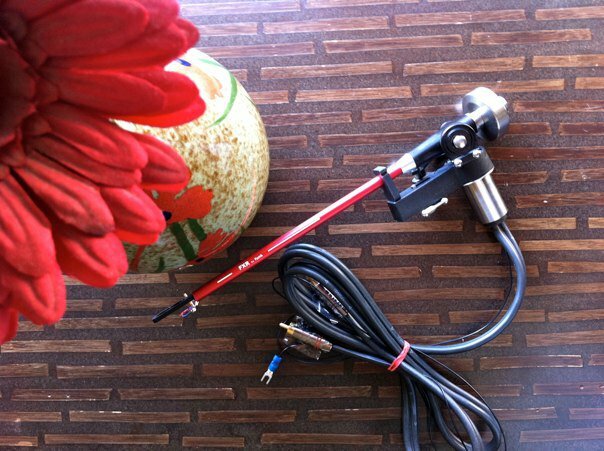 The first input has the option to be a simple line level input or it can be fitted with either a MM phono card or DACtilus D/A card." That means the Heed with the X2 is about the same price of the Naim, and somewhat less expensive than the LFD. 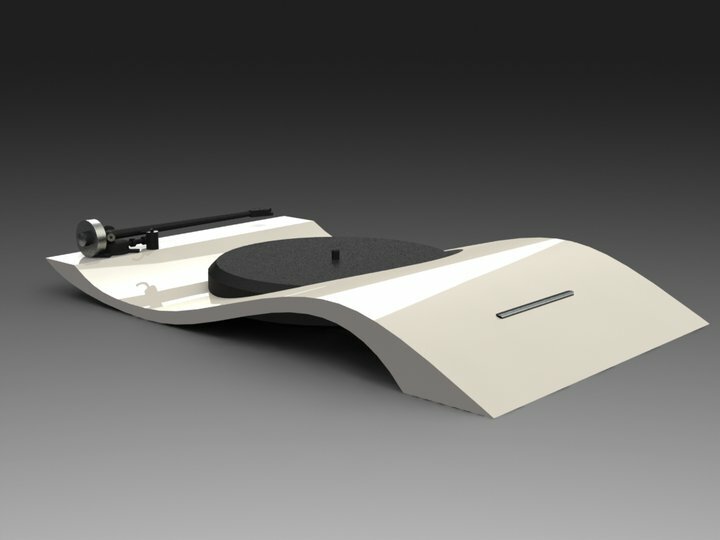 The Obelisk alone is a very intriguing idea...and I could certainly upgrade to the X2 in the future. 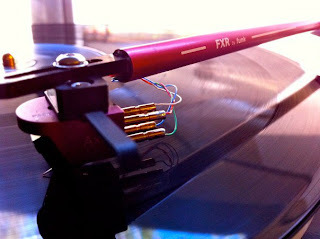 I know it's not even Halloween yet, but I just sent in my annual year-end wrap-up for Perfect Sound Forever, featuring the 12th Annual Vinyl Anachronist Awards for Analog Excellence. I've named 2010 as the Year of Rediscovery, following 2009 as the Year of Discovery. For those keeping score, 2008 was the Year of Settling In, 2007 was the Year of Grumpiness, 2006 was the Year of Implosion, 2005 was the Year I Didn't Do a Year-end Article because PSF was in a state of transition, 2004 was the Year of Music, 2003 was the Year of Plenty, 2002 was the Year of Triumph, 2001 was the Year of Confrontation, 2000 was the Year of Compromise, 1999 was the Year of Transition and 1998 was the Year of the LP. 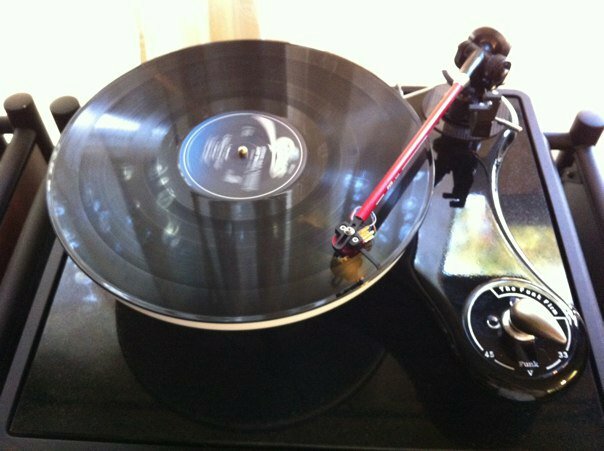 This year, the awards categories are Best New Release in the Vinyl Format (an old veteran who used vintage analog equipment to record one of his best albums yet), Best Reissue in the Vinyl Format (another release from my favorite band), Cartridge of the Year (two budget carts that are perfect for entry-level Regas), Turntable of the Year (hint: golf ball) and a new category of Best Analog Moment of the Year (it involves a favorite guitarist, a favorite audio person and certain social network). This article will appear in the December 1 edition of Perfect Sound Forever. Since the February 1 edition will be edited by noted music critic Robert Christgau, I will probably take a break. Christgau did this once before and included articles he collected from others. In April I will return with a column about listening to 78s! Quadraspire QV60 stands in the house! 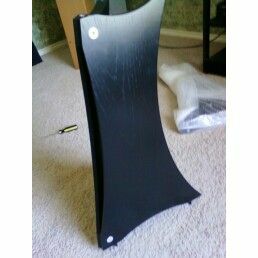 I just received the Quadraspire QV60 speaker stands to put under my Trenner & Friedl ART monitors. 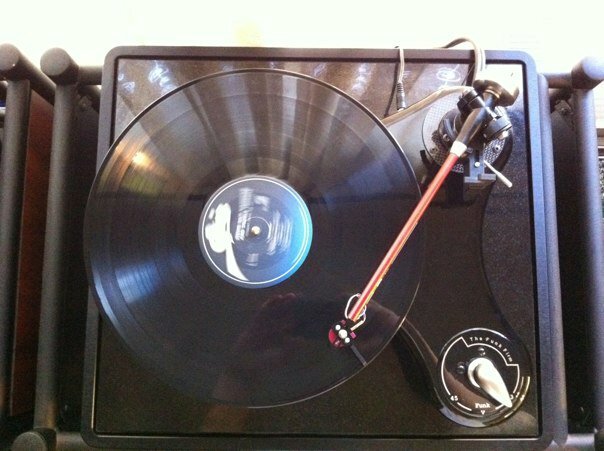 The QV60s are sleek, sturdy and well-built, and they were easy to assemble as well. Basically you take the two sides of the stand, attach the tops and bottom via a couple of Ikea-style wooden dowels, and then slip two pairs of screws through a threaded sleeve (the silver circles you see in the pics). Each stand only took about five minutes to assemble. 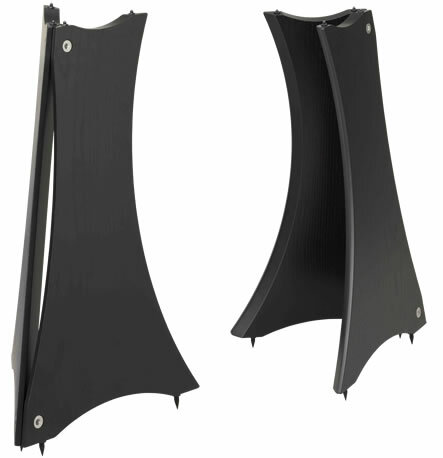 You have a choice for spikes for both the top and the bottom of the stand. I used Blu-Tack on the tops because I don't want to mar the beautiful cherry finish of the ARTs, even if it's somewhere you wouldn't ordinarily see. I want the T&Fs to remain as pristine as the day I unpacked them. 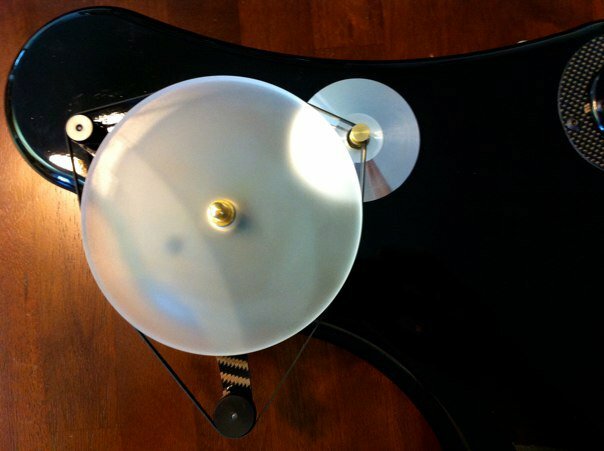 The stands are light yet stable once they are assembled, which makes it easy to play around with speaker positioning. You can knock them over sideways if you aren't careful, but for the most part they are solidly coupled to the floor. Together, the ARTs and the QV60s are quite a stylish couple. As you see here, they are toed in toward the listening chair. I usually wind up positioning speakers so that they are facing me straight on while I'm sitting down. I'm starting to discover that the ARTs like minimal toe-in, maybe 15 degrees off the side wall maximum. This helps the soundstage to sound immense. When they are faced towards the listening chair, they can be a bit aggressive and forward-sounding. So I've been experimenting with more speaker positions than usual. This is how I have them positioned right now. Like I said, it's about a 15 degree angle off the side wall. If I face the ARTs perfectly forward, I lose a little center fill in the soundstage. One thing I'm noticing is that the QV60s help the ARTs to go a little bit deeper in the low frequencies. That's what you get when you couple stands to the floor. 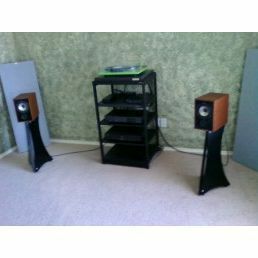 I may also try setting the ARTs closer to the back wall to see how much bass I can get from those 5" aluminum woofers. Now it's time to start moving in the LP shelves and other furniture to make my new listening room a little less live. But overall everything is sounding quite special! And yes, I'm going to paint those horrific green walls, too. Well, she's not officially known as The Cookie Lady yet, but that's what we're calling Erin Pont, proprietor of All Mom's Cookies here in downtown Kyle. 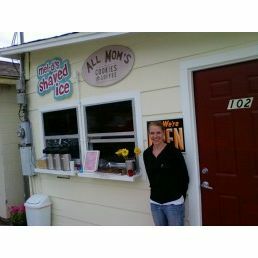 Erin, like me, is from California, and she just starting selling her delicious baked goods in a small white shack amid the ever-growing downtown area of Kyle. She's only open from 6am to about 11am, which means you'll have to eat one of her incredibly delicious cookies, breads and desserts for breakfast. 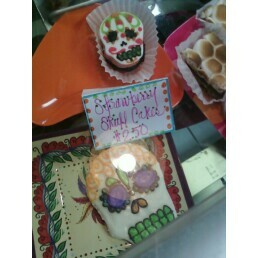 Thanks to her Jack Black Breakfast Cookie, that's not quite as decadent as it sounds. I know that a healthy, gluten-free vegan cookie sounds about as appealing and dry as a week-old bran muffin...at least until you taste it. Made from sunflower seeds, coconut and flax seed, the JBBC tastes delicious. It's moist, sweet, filling and very very good for you. Instead of grabbing my usual apple fritter from the donut shop down the block, I'm going to make it a habit to eat one of her healthy cookies and wash it down with some of the best coffee in town (supplied, of course, by local coffee growers). 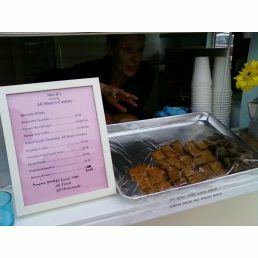 There's a little more to Erin and her cookie stand than meets the eye, however, which of course is why I'm blogging about her. Erin donates a portion of her sales to two noteworthy causes. One cause works with parents and caregivers of special needs children, a charity that is near and dear to my heart. The other cause is a local rescue organization that specializes in farm animals that have been abused or otherwise neglected. If you spend any time talking to Erin, you'll quickly realize that she's one of those people who have a truly HUGE heart, and she loves giving back to the community. The more I learn about the people in my newly adopted hometown of Kyle, the more I realize that it's populated with kind souls who really do want to make the world a better place. So the next time you're cruising through downtown Kyle, make a stop at All Mom's Cookies and Coffee and tell The Cookie Lady that the Vinyl Anachronist sent you. If you're not sure about the Jack Black Breakfast Cookie, you can still be decadent and order one of her non-vegan Snickerdoodle or chocolate pecan cookies or some fantastic pumpkin or banana bread. It's located on 102 N. Burleson Street in Kyle, just off Central. My brother Mat and I just checked in with Spencer Thomas, blues musician and piemaker extraordinaire, and chatted with him about music, our fair city of Kyle and his vision for the future. Spencer is hosting a Halloween party at the Texas Pie Company on October 30 where his band, the Spencer Thomas Band, will be playing from 9pm to midnight. Spencer hopes to feature live music at Pieco on a more regular basis. Kyle, a small town in Hays County that is growing by leaps and bounds (it has quintupled it size between the 2000 and 2010 census), doesn't have much of a night life, but all three of us agreed that should definitely change. My brother and I are members of the Chamber of Commerce, and one thing we've learned about our wonderful new hometown is that it's made up of businesspeople who are young and want it to grow. I told Spencer that when I first considered moving to Kyle, the only thing that kept showing up consistently on Google search engines was Pieco, and he seems genuinely thrilled that his little restaurant is so well known in these parts (as well as the rest of the world). Pieco is a bit of a Mecca for pie lovers all over Texas, much in the same way that nearby Lockhart is a Mecca for Texas BBQ. I also informed Spencer that within two hours of posting my article on him and his restaurant, nearly 100 people from all over read it. This blog has garnered a bit of a cult following in places such as India (thanks to my dear friend Sid Trehan of The Audiophile Network), so if Spencer suddenly finds a bunch of Indians making the pilgrimage to his store, he'll know why! If you're anywhere near Central Texas on October 30, make it a point to hear Spencer's extraordinary band and eat some of his extraordinary pie! I'll be there as well, digging his unique brand of Texas rhythm and soul. Once again, the Texas Pie Company is located at 202 W. Center, right in the heart of downtown Kyle. 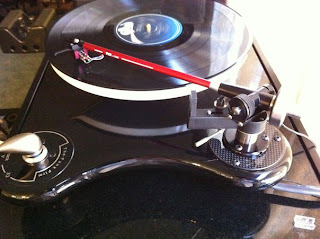 I just saw some amazing pics of these turntables from the Margules Group Mexico's Facebook page. I don't know how close these designs are to becoming a reality, but if they do--wow! What great-looking 'tables! 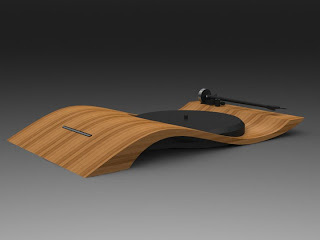 "This table is in the design stages, but I hear there is a possibility that it might be released at CES this year." 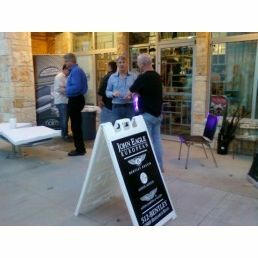 Last night's Naim event at Whetstone Audio was quite a success, with a large number of Austin audiophiles showing up to drink beer, eat pizza, sit in a $300,000 Bentley and listen to Naim's latest Uniti components. Whetstone owner Brian DiFrank played the part of the genial host as Naim UK's Doug Graham and Naim USA's Dave Dever showed off Naim's new line of components including the Uniti (which combines a CD5i CD player, a NAIT 5i integrated amplifier, a multi-format tuner, a digital stream player, a DAC, an iPod/MP3 player and a USB-stored audio player), the UnitiServe (a hard disk player and server) and the UnitiQute (an all-in-one player that can handle almost every digital format available, and some that haven't even been invented yet). Here's the bigger of the two systems that were playing at Whetstone. 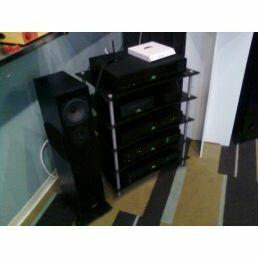 This all-Naim system was based around the Uniti (top shelf). The amazing thing about the Uniti is that all you really have to do is add speakers, and you have a truly one-box solution for your hi-fi. The total cost of the Uniti is only $3750, which is not too much more than the cost of a CD5i and a NAIT 5i. I owned the NAIT 5i for a couple of years, and it's one of the two or three best integrateds for under $2000. So in other words, you're getting all the added features such as the tuners, the DAC and the other audio players practically for free. 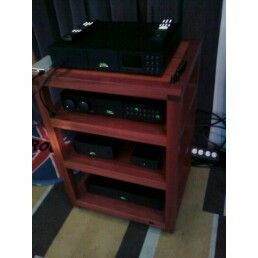 This system used the new Naim Ovator S-400 loudspeakers. 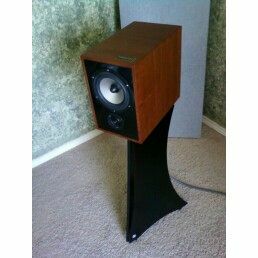 These beauties sounded authoritative, punchy and dynamic and achieved ear-splitting volume levels when Doug Graham played a hi-rez copy of The Dark Side of the Moon. This was the smaller system that featured the UnitiServe as well as Naim's new DAC, which is getting a lot of buzz these days. This system featured the modest Rega R3 speakers which sounded unusually big for their size. 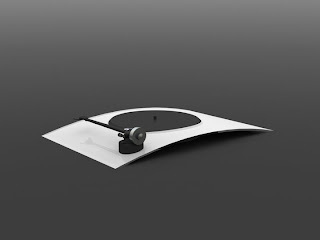 Not to steal any thunder from Naim on their big night, but I've always enjoyed the smaller Rega speakers and always felt that if I had only a few hundred bucks to spend, I'd go right for their little R1s. This system sounded excellent and was actually played more than the bigger system. Here's another shot of the components. Unfortunately, Naim gear is so dark and handsome these days, it's hard to do it justice with a simple cell phone camera! Here's a close-up of the display of the UnitiQute. Just as I snapped this pic, someone chose my favorite band on the server! 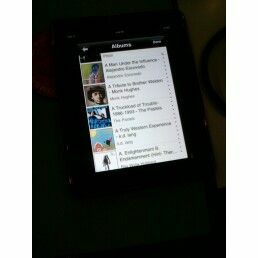 Most of the musical selections were done from either this iPad, or a second laptop. Both were on the same network with the Naim gear. This is the stunning Bentley that was brought over by Jason Schieck of Bentley of Austin. It's powered by a 620 horsepower 6 liter W-12 engine. A fellow audiophile, who was clearly not a car nut, asked me what a "W" engine was. I asked him if he knew what a V engine was. "Oh, sure," he replied. "Well...it's two of those slapped together," I told him. "Oh." This is the first time I looked inside of a Bentley. Wow. And this is the first time I sat in a Bentley. 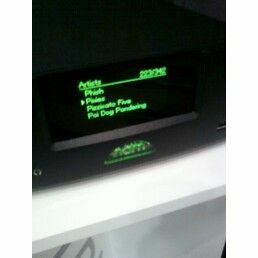 That's the Naim audio system that's custom made just for Bentley. It uses a class-D switching amp to achieve 1100 watts per channel. Doug Graham commented "we had to go class-D because we only had to fit everything in a fairly small space." I'm not a real fan of Class D, but it makes sense in an application like this. The Naim car audio system sounded clear and detailed, with more imaging and soundstaging than I'm used to in a vehicle. 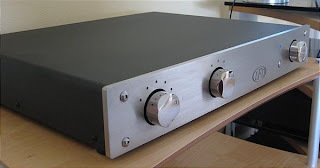 Back in the store, I noticed this NAC 282 preamplifier. It's not every day you see the innards of a Naim component...unless you're me and keep accidentally losing your little magnetic CD puck inside of your Naim CD player. 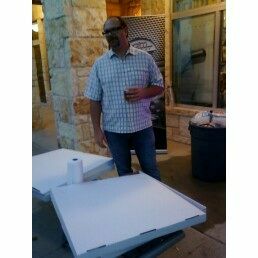 Here's Brian, standing guard over the two pizzas he bought for the event. In Texas, we call these mediums. 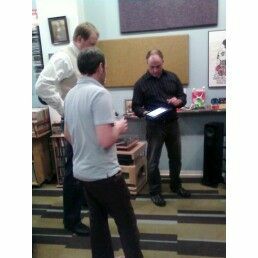 Here's Dave Dever demonstrating the UnitiServe to a couple of Austin audiophiles. The gentleman to the far left is what Texans call "medium build." Seriously, I talked to those two gentlemen for quite a while. 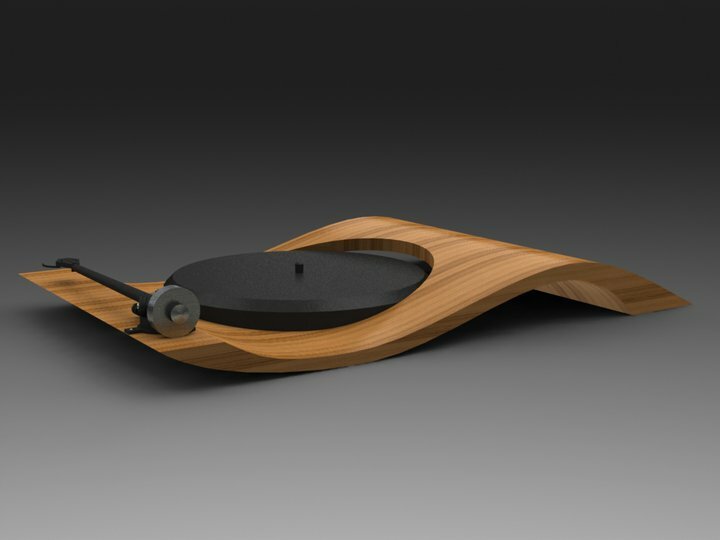 Their names are Scott and Eric, and they've just started a company called Appogg Systems, and they're making isolation platforms for audio components. I checked out their website (at appoggsystems.com), and the products look great. They're also getting a lot of buzz from audiophiles in the area. They are working on an entire line of platforms before they really go "public." But for now it looks like they're on the right track. I hope to speak with them further about Appogg. All in all, it was an enjoyable night, and I always have to give credit to Brian DiFrank for making audio fun once again. I'm going to go back in a few weeks and listen to his line of Kudos Speakers (a new British brand from the people who brought us NEAT). Thanks, Brian! 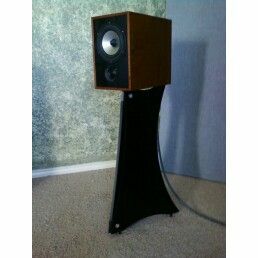 I finally ordered a pair of speaker stands for my new Trenner & Friedl ART monitors. 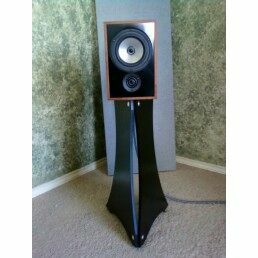 Based on a recommendation from Dan Muzquiz of Blackbird Audio/Gallery, I've chosen the Quadraspire QV60s. I seriously considered more conventional stands from Target, Skylan and Sound Anchors, but my ARTs are so beautiful and stylish that I thought they deserved something a little more flashy. I'm looking forward to getting them. But instead of shipping them to me from San Diego, Dan suggested I take a trip up to Dallas to visit the guys at The Sound Organisation, the US distributor for Quadraspire. 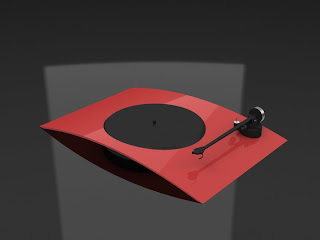 They are also the distributors for European brands such as Dali, the Chord Company, Isotek, Primare and Rega. So I'm making plans to drive up sometime next week, pick up my stands and then get a tour of the facilities. Of course I'll be taking lots of pics and posting them right here. I'll also post my initial impressions of the QV60s and how they affect the sound of the ARTs. Naim Night at Whetstone Audio...Tomorrow! "Naim UK’s Doug Graham and Dave Dever from Naim USA will be coming to the shop October 21st. They will be introducing lots of new Naim goodies fresh from The Rocky Mountain Audio Fest. 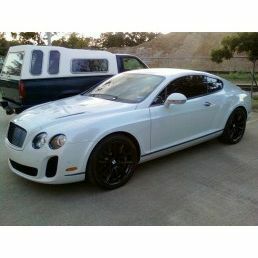 Jason Schieck from Bentley of Austin will be there and will be showing a Naim equipped car. I bet the trunk won’t even rattle! Brad Farbstein, owner of Real Ale, will be bringing a keg of delicious beer. This will be an awesome event!" 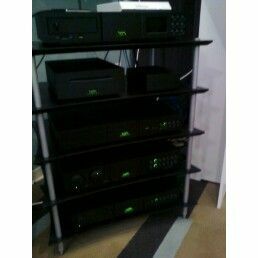 Most of you know I love Naim gear and have owned several pieces in the past. 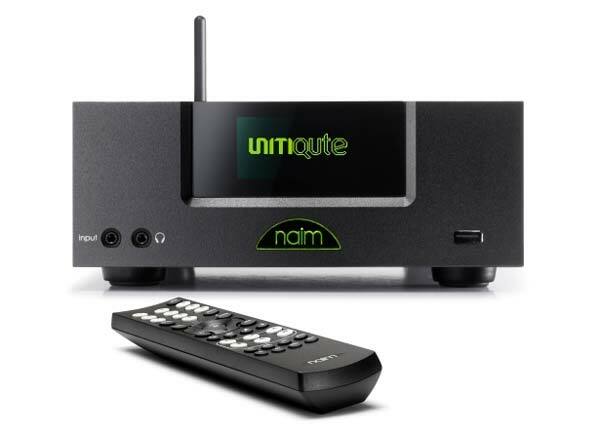 Naim is definitely at the forefront of 21st century technology with their new Uniti line of products, and I can't wait to hear them perform. I'll have a full report with pics after the event is over. So if you're in the Austin area tomorrow night, stop on by. The event will last from 6 to 9 pm. The address for Whetstone Audio is 2401 E. 6th Street, Austin. See you there! I'm using a Denon DVD player as a CD player right now. I sold my nearly $6000 Naim CDX2 last year because I thought I was going to transfer my CD collection to a McIntosh music server, but that didn't quite pan out as expected. 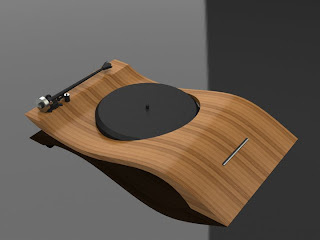 Since I've been focusing mostly on LPs this year, and because my brother and I have been building music servers, I just haven't thought about buying a decent CD player yet to replace the extraordinary Naim. Up until recently I thought I would just buy another Naim, because they are my favorite players by far. 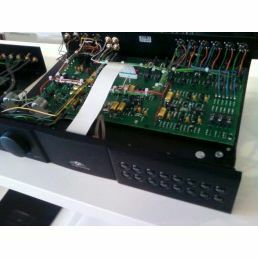 But I may just get something reasonable like the Oppo BDP-83SE universal player for $800 and be done with it. If I want something better, I'll just send the Oppo to Dan Wright at ModWright Instruments and let him stick some tubes in it. I just don't want to spend big bucks on digital these days. The amp, however, is a different story. I thought I would get a Naim NAIT XS but with all of the Cardas cabling in my system, it may or may not be the best choice. Up until a few years ago, you could only use Naim amps with Naim-approved cabling. The latest generation of Naim gear works with most cable brands, but in my experience Naim stuff works best with other Naim stuff, so I may have to think this through. Still, the NAIT XS, which is basically the SuperNAIT without the DAC, is a hell of a piece, and it's only about $2500...a real bargain. In fact, the only real competition is the LFD Zero LE III integrated which has retailed between $2495 and $2995 over the last few years, depending upon the exchange rates. It doesn't have the features of the Naim, but I like the sound quality just a tad better. Here's the deal, though...the LFD Zero LE III integrated is about to be replaced by the LE IV. That means a lot of used LE IIIs are going to flood the market as people try to upgrade. 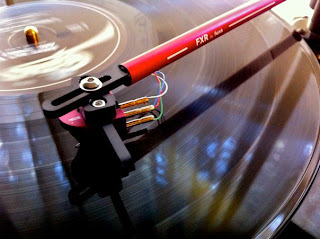 I think I'm going to start looking at one of those used units to replace my modest but still outstanding Rega Brio 3. I know that Gene Rubin of Gene Rubin Audio is offering $1600 as a trade-in allowance for customers that want to go from the III to the IV. So if he's re-selling them for anywhere near the $1600 price, that will be another fantastic bargain. 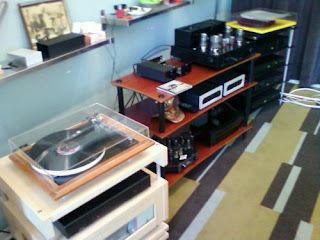 Peter Selesnick of Venice Audio also told me he has a couple of demos he wants to sell. The LE III is perhaps my favorite sounding integrated of all time. I was able to review one for TONEAudio and I didn't want to give it back! So I think that's the plan for now...stay tuned! 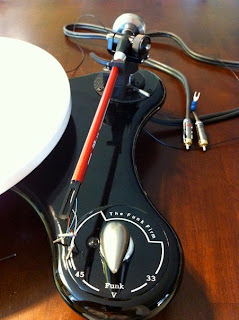 Dan Muzquiz of Blackbird Audio just got the new FXR tonearm from the Funk Firm in, and he took these pics while he was setting up the arm with a Funk Firm Vector turntable and a Transfiguration Axia cartridge. While it looks like it starts its life as a Rega arm, word from the UK is that the FXR rivals state-of-the-art arms from the likes of SME and others. Personally, I dig the deep red arm wand! Here's how it looks fresh out of the box! And here's the Funk Firm Vector, unassembled. 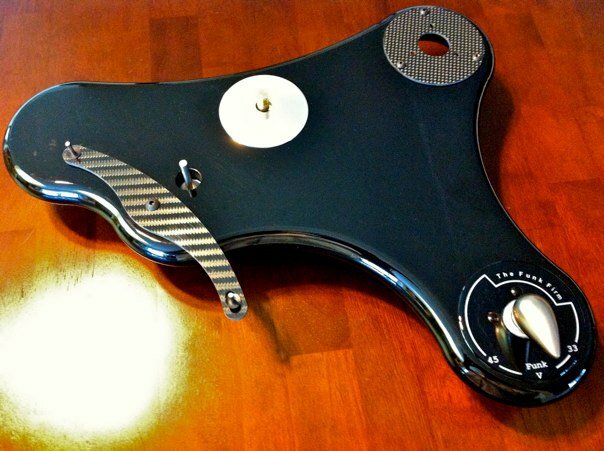 Here's what the Vector looks like, fully assembled and ready for the FXR. 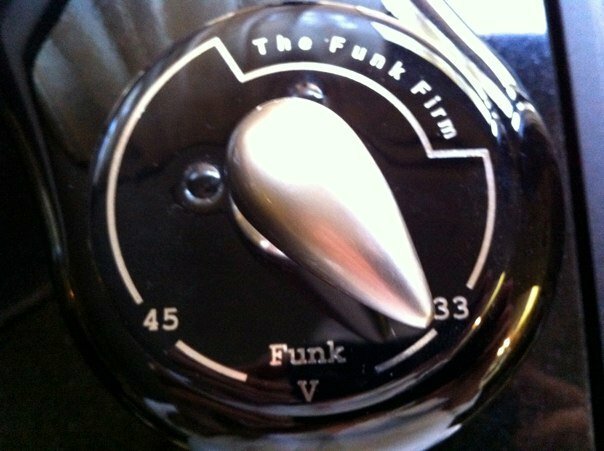 Remember, the setting for FUNK is about halfway between 45 and 33 rpms. Dan says these cartridge clips are easy to use since they're so robust. Nice to know, since I've busted and overcrimped my share of them. 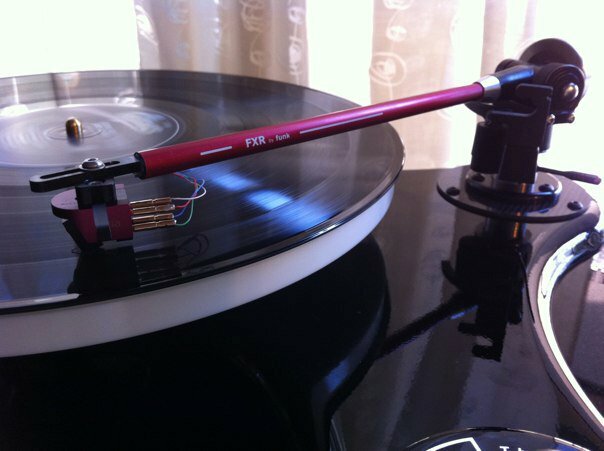 And now we're ready to spin records! This is a truly gorgeous turntable/arm/cart combination. Once everything is broken in, I'll ask Dan about its sound. I can't wait to visit Dan and hear for myself! Trenner & Friedl ART monitors in the house!